There’s a good chance that we’ll be getting our first trailer for the upcoming Dora The Explorer Movie - ‘Dora And The Lost City Of Gold’ soon because Paramount has just dropped the first poster for the film. 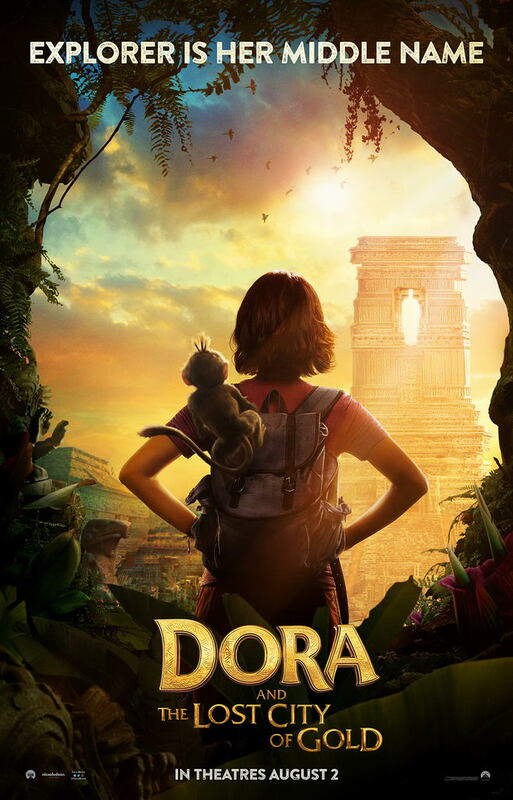 In the new movie, based on the popular children’s television series, Dora, played by Isabela Moner, along with her pet monkey - boots, her cousin Diego, and a mysterious jungle inhabitant team up to find the lost city of gold as well as to save her parents (Eva Longoria and Michael Peña). We just hope she doesn’t feel the need to break the fourth wall and keep asking the audions stupid questions like she used to do in the series. Find More in: Dora And The Lost City Of Gold, Dora The Explorer Movie, Eva Longoria, Isabela Moner, Michael Pena.